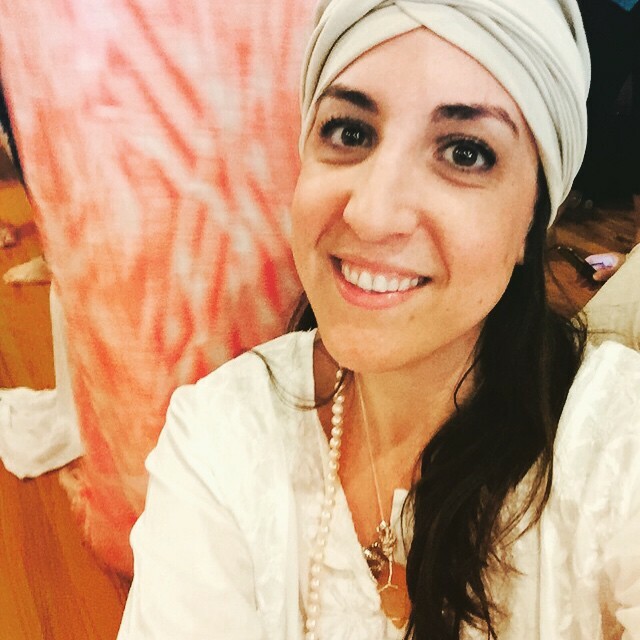 Just one week ago, I completed my Kundalini Yoga Teacher training. It was a culmination of many hours, classes, daily meditation, readings and workshops over the span of 6 months. There was ego defiance, moments of bliss, connections with beautiful, spirited souls and yes, even tiredness for those morning Sadhanas we had to attend at 4:30am. And I did it. I completed something that was bigger than me and when you go through an experience as such, your world starts to expand too. I was gifted with the spiritual name Sahej Anand, which means “lioness who finds bliss in the present moment and spreads joy to others”. It rang so true to my soul. A big part of my awakening 5 years ago was learning this radical concept of being present and feeling a sense of obligation to raise awareness to others as well. All in my best efforts to deliver with a smile of course! At that point something started to shift. I realized I was upset because of MY problems, MY desires, MY needs. When the meaning of this whole training really had nothing to do with me. It had to do with something far greater, and to find the discipline to step to the side of my ego to explore it. From there, more voices started to come through, reminding me of my spiritual name. That all that really matters is this present moment. The rest will sort itself out. In the meantime, I simply had to surrender. Surrender to the idea that I knew better. Surrender to things going my way. And ultimately, surrender to thinking I knew what was best for me. So I let go. Hard. The next thing I knew my body rose up into meditation and I was smiling the whole rest of the morning. I felt the pure joy of what it was like to be completely one with spirit and to not have any worries of any outside circumstances. Quite simply, it was bliss. 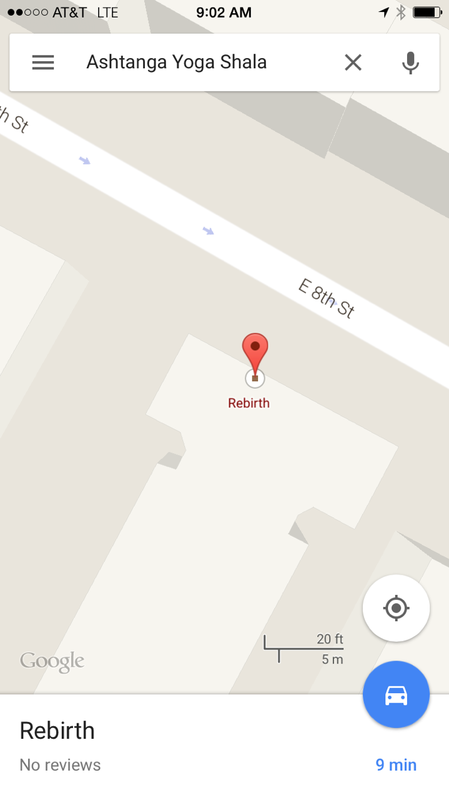 My Kundalini sister who had been graciously tracking my phone, alerted me to a change in it’s location. It was still chilling in the same spot, however the word “rebirth” appeared in it’s place. I knew it was the Angels way of signaling me that I was accepting my lesson and everything was going to be okay. I demonstrated that when in a crisis I could apply my spiritual linkage to see me through. Shortly after, a woman named Sophia rang my friend’s phone to assure me she had my device. She thought I had left it at her after party, which clearly had not occurred being at yoga since the early morning. She went on further to say that she’d be near Golden Bridge and would drop it off that afternoon. Just like that, my phone had found it’s way home to me. I didn’t have do a thing. And again, this is more than just losing a phone. It was a lesson in surrender and being truly present. That nothing is rightfully yours until you can truly prove you’d be okay without it. That goes for anything, relationships, money, food, jobs… you name it. The universe is the driving force and when we can be the passenger and not bark out the directions from the back seat we come to find that we can be delivered exactly where we need to be. I fully believe my phone was returned to me only because I made the choice to be okay without it and to trust. To be able to sit with myself in the present and not ruminate the possible scenarios in my mind. I invite you to use this as an opportunity to see the areas in your life you may be too attached to. Where you may think you know best and if anything were to get in the way you’d be a mess. Realize that divine intervention is a gift. It’s an exploration into the unknown, a deeper side of your being you may not have seen otherwise. It can be so exhausting to always have to be the one in control. So what if there was another way? And all it required of you was to trust? When we flow into that stream of faith, we open up the space for possibilities. And with such a vast and infinite universe we live in, I’m pretty sure an opportunity or two will land it’s way on your path. Ever have an experience like mine? I totally want to know! Share it in the comments! Interested in trying Kundalini Yoga? My friend Gabby has an amazing virtual classes! Check it out here.